The Department of Mass Communication at Stephen F. Austin State University received notification from Grad School Hub that its online master's degree has been ranked the most affordable program in the nation. Among the 30 programs Grad School Hub evaluated for affordability, SFA outranked other schools, including the University of Alabama and the University of Arkansas at Little Rock. NACOGDOCHES, Texas - The Department of Mass Communication at Stephen F. Austin State University received notification from Grad School Hub that its online master's degree has been ranked the most affordable program in the nation. 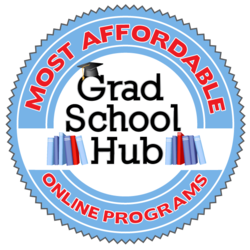 Grad School Hub compiled the list to provide graduate students and higher education faculty members with information regarding high-quality accredited graduate programs, according to its website. Its mission is to provide people who are interested in attending graduate school with all the resources they need to make a good decision about the type of degree that is right for them and to help them explore the options in that degree program. Among the 30 programs Grad School Hub evaluated for affordability, SFA outranked other schools, including the University of Alabama and the University of Arkansas at Little Rock. "Our online master's degree meets market demand by allowing students to pursue their degree without having to attend a brick-and-mortar building during a time in their life when that often is not an option," said Dr. John Hendricks, chair of the Department of Mass Communication at SFA. According to Hendricks, SFA's online master's degree program in mass communication has experienced a 443-percent enrollment increase during the past five years, which speaks to the program's focus on meeting market demand for journalists and public relations professionals. "With the rapid changes in technology and our changing world, we are seeing more and more professionals return to college to complete a graduate degree," Hendricks said. "Our program is taught by faculty members who also have worked in the industry. They understand what's needed in today's workforce and are dedicated to ensuring that our program's graduates receive the education they need to advance in their careers." For more information on SFA's mass communication department, visit www.sfasu.edu/masscomm/.